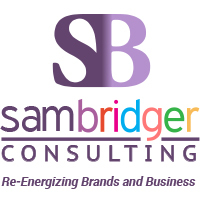 This is the website of Sam Bridger Consulting Limited. Our website address is https://www.sambridger.com. You can get in touch with us via email (hello@sambridger.com) or by phone (07966 218414). Our Registered Company Number is 06805595. We will only collect personal data such as your name, email address and phone number should you provide them via our Contact Form. No other personal, sensitive, financial or transactional data, such as information about cookies, is collected. If you have provided your contact details, we will ask you if you would like to be added to our mailing list. If you do not wish to, your data will not be stored. This site is operated by WordPress, which does not collect any personal data about visitors. Please see below for information regarding the iThemes Security plugin. When visitors leave comments on the blog pages, WordPress collects the data shown in the comments form, and also the visitor’s IP address and browser user agent string to help spam detection. Neither Sam Bridger Consulting Ltd nor WordPress shares any personal data with any third parties. If you leave a comment, the comment and its metadata are retained indefinitely. This is so WordPress can recognise and approve any follow-up comments automatically instead of holding them in a moderation queue. If you have consented to join our mailing list, we will keep your contact details indefinitely unless you unsubscribe. For any privacy-specific concerns, please contact Sam Bridger, Managing Director, at hello@sambridger.com. Any data (name, email address) that has been retained for mailing list purposes is stored securely in a protected database that requires two-factor authentication. This data is accessed solely by our Managing Director.